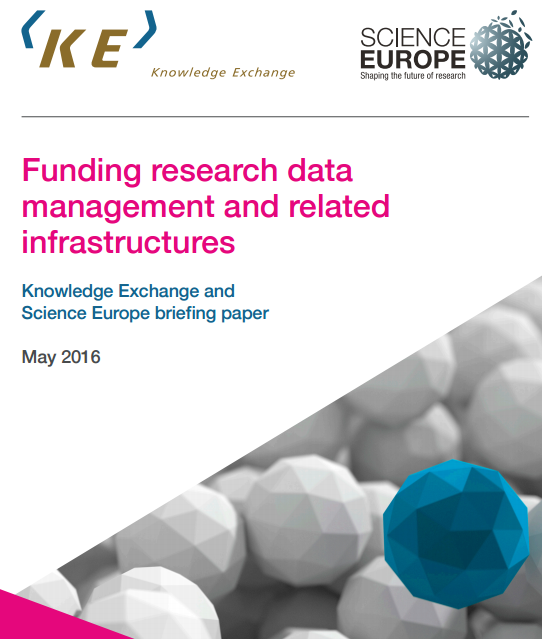 Funding Research Data Management And Related Infrastructures – is a Knowledge Exchange & Science Europe Report exploring how Research Data Management and related infrastructures can be funded. The report presents main outcomes of the joint activity to inform the discussion on the aforementioned funding in Europe. “Research Data Management (RDM) is defined as the process, services and policies covering how the data used by or generated from research is organized, structures, stored, and cared for to ensure both its preservation and re-use” (Funding Research Data Management And Related Infrastructures Report). “Because research data is a valuable university asset, an institution should build ongoing funding into its base to provide resources to the units responsible for managing that asset.” (If You Build It, Will TheyFund? Making Research Data Management Sustainable; OCLC, 2016). “Responsible Research Data Management (RDM) is a pillar of quality research. In practice good RDM requires the support of a well-functioning Research Data Infrastructure (RDI)” (Funding Research Data Management And Related Infrastructures Report). Over the past years, various studies have identified that costs and funding of RDI/RDM need to be better defined and co-ordinated. The Science Europe Working Group on Research Data and the Knowledge Exchange Research Data expert Group joined forces to explore how RDM and RDI are, or can be, funded. To that end, independently, each group planned to survey users and providers of data services to collect information and produce a report to inform the discussion on the funding of RDM/RDI in Europe, to help raise awareness of the current challenges, and subsequently to communicate opportunities for coordinated action to relevant stakeholders. The respective surveys - conducted in 2014 and 2015 - explored the funding and costing of RDI in 17 European countries. The results of the surveys – formulated in the 28-page Report (licensed under a Creative Commons Attribution 4.0 International License) – have contrasted the very heterogeneous findings with the demands of service providers and research institutions. In particular, the report highlights that the funding of RDI, enabling RDM, comes from a great variety of sources and institutions (directly, indirectly, through proposals, fees and other; also unknown to many) that have different responsibilities and that operate at local, national, and international levels. The report indicates that costs and funding of RDI/RDM need to be better defined and co-ordinated, taking into account the full research cycle and data lifecycle (i.e. 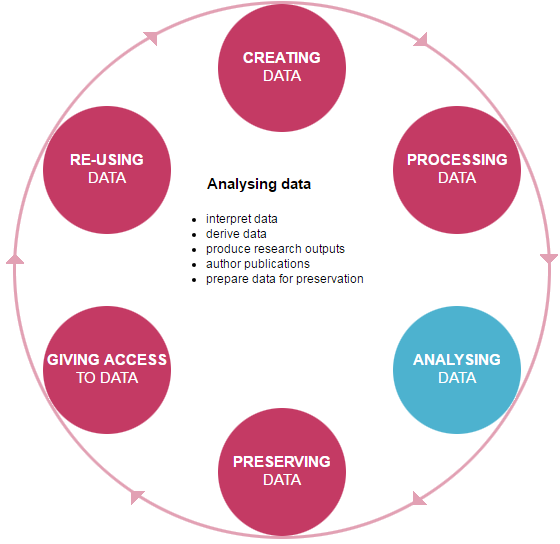 the research process) when formulating policies with respect to the funding of data facilities. Considering a diversity of funding, it is not easy to accomplish a common vision, strategy and funding practice. Nevertheless, the increasing shift to an Open Science offers a good starting point for the layout of a layered, component-based RDI with complementary RDM support functions at various levels: international/national/local and mono/inter/multi-disciplinary, offering various types of RDI services (computing, storage, network, data, research support, training and education). consider the joint active engagement of representatives from the various stakeholders involved in funding decisions relating to data infrastructures (i.e. not only on the basis of projects). “Much work is needed to develop the underlying infrastructure, identifiers, meta-data, systems and networks – and for that, again, public funding in Europe and international coordination by RDA will be needed” (The Data Harvest- RDA Report). The background and context for research data management connected to related infrastructures are described in the full version of the document, which can be downloaded here.